The upcoming Long Term Strategy of the European Commission aims at GHG reduction levels in line with the entry into force of the Paris Agreement and possibly compatible with the IPCC Special Report on 1.5°C. The Commission calls on all sectors to contribute to this target: from agriculture to industrial processes, as well as transport and heating (especially in buildings). With renovation rates of 1% (EU average) and lack of capillary investments to revert the trend, emission reductions in the residential sector are lagging behind. In addition to efforts needed to improve the efficiency of a building envelope, 45% to 63% of buildings energy consumption could be electric in 2050 driven by the adoption of electric heat pumps. This also opens the door for increasing use of demand side flexibility. 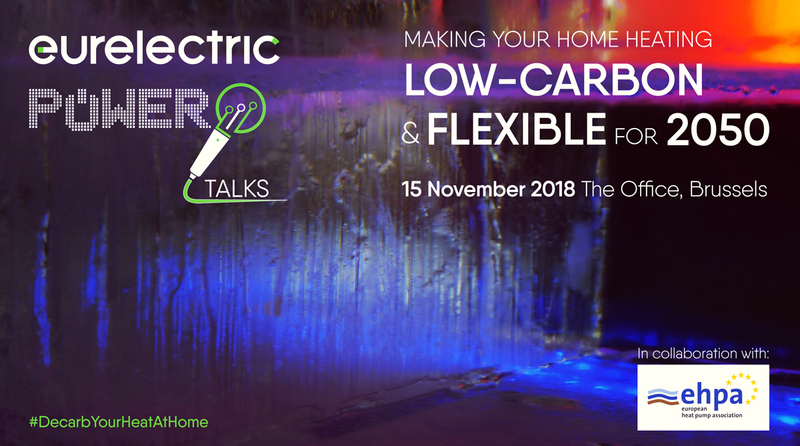 Loads from EVs and heat pumps are large enough to play a significant role in flexibility schemes in the coming years. Eurelectric and the European Heat Pump Association will discuss the potential of efficient and smart electrification of heating in the building sector and what to do to get us there from now until 2050.